Floral prints are always a hit when Spring comes around, but with the cool weather still hanging in there, you have to get creative. I'm planning on leaving my comfort zone of black, red, and white, and will try to add some florals to my attire for Vancouver Fashion Week. Right now, I'm caught between pairing my floral piece with another print (if I'm feeling extra bold) or a bright complimenting colour. Sometimes it's worth it to step outside your comfort zone; you might just discover a new look you really like! I think florals are pretty much timeless.. have been as long as I can remember. but they look the best when it's summer (or spring). and now I have some of my floral pieces spinning around in my imagination, hah. Am obssesed with all-season florals!Very pretty board! 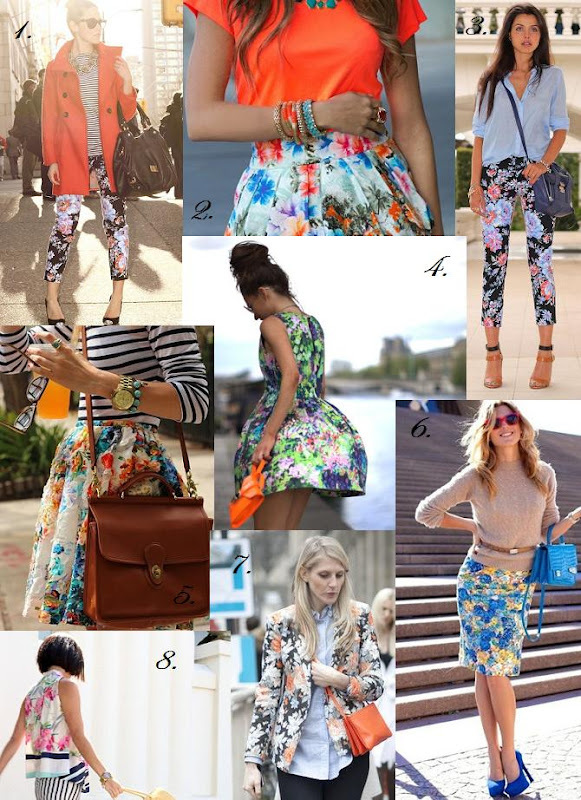 Florals would be nice to wear! I have no idea what I'm going to wear yet!